Whilst I have been impressed recently by the work of several police officers in the North, who have initiated imaginative and effective programmes to support the vulnerable, there is clearly need of much more concerted work to ensure that the police uphold Human Rights as they should. I should note though that I used to be accused of excessive criticism of the police, when I would suggest that they needed to have much better training with regard to Rights protection. This was when I chaired a Committee on training, when indeed the senior officers who were my colleagues acknowledged that police training programmes had declined since their own days. They pointed out that this included training in investigation and interrogation and also prosecution, since without skills in these areas police might resort to improper methods, and might end up failing to obtain prosecutions even when they thought they had sufficient evidence. I remember in particular regrets about the Senior Detective Course that had falled into abeyance in the nineties, but the problem was that even the basic detection course was not systematically conducted. There had been some efforts to remedy this, and there was much praise of a Swedish programme on Scene of Crime investigation, which had also involved access to modern equipment. Apart from this, though, the only sustained training programme from which the police had benefited was one on Community Policing the British had conducted, and this did not seem to have been at all systematic. In contrast, the army had benefited immensely from advanced training programmes during this period, which explains its greater professionalism. But the police had had even their usual training cut short, the period of commissioning for officers having been reduced to a few months, whereas the equivalent army personnel had had their basic officer cadet training extended from two years to two and a half. This had included much more attention to law. We tried to remedy this with a request for assistance that used simulations rather than lectures for Rights training. It seemed obvious that policemen told to be polite when searching houses or at checkpoints were less likely to behave well than those who had engaged in role plays which enabled them to understand what was felt by those on the receiving end of the treatment they meted out. Unfortunately setting up the programme took a lot of time, because I found the UN system was as bureaucratic as ours, and there seemed some diffidence about the Consultant I had suggested, a Britisher who had done admirable training for the British Council, in the days when I had organized drama workshops which had had distinct political content – including one that resulted in a programme called ‘What the Papers Don’t Say’, about all sorts of abuses in the days when we had no independent press at all. Scott in fact nearly gave up when he was asked to fill in yet another form, but he finally got here, along with a South African who turned out to be thorough in his subject, though he would probably have not been a pleasant man for the blacks to have faced in apartheid days – or indeed women, because he was quite sexist in his approach. Fortunately the programme was for trainers, who were all men, and they seem between them to have done an excellent job. Some months later, when I visited the Police Training School at Kallady in Batticaloa, from which 700 Tamil policemen had recently passed out, way back in 2008, I found its very competent head very positive about the programme that had been conducted. Unfortunately that was the last such training programme. A new IGP was appointed, and though he seemed positive about continuing with the programme when we met, he told us that he would like to wait until the elections were over. That was the prelude to the silly season when, as with the period preceding the New Year, nothing is done. This period however lasted about six months, and when it finally came to an end, in April 2010, we no longer had a Ministry of Human Rights to pursue the matter. 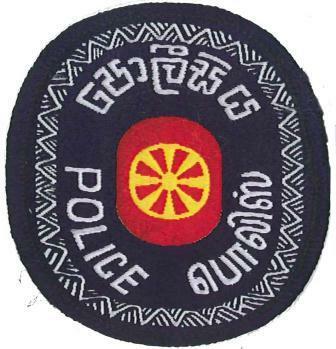 As with work on the Action Plan, which ceased, and was only revived because the Attorney General, the only person of the original team still in office, managed to get it going again in the midst of the enormous amount of work that was thrust on him, that particular police training programme was forgotten. Though I kept bringing it up with personnel I had worked with, they had changed responsibilities and there was no continuity about programmes, a phenomenon I realized extends also to Ministries. Lost too was the manual that had been prepared through the training programme. I had been especially keen on this, and though the police did not produce anything – the capacity to put pen to paper being almost lost I fear in our public servants – I managed to get Scott to produce a draft, with lots of exercises included. We had almost finalized this when election fever struck, but then the manuscript seemed to get lost, with changes in the Training Directorate. But at the meeting I had a couple of weeks back with the Human Rights Commission, the representative of the UN High Commissioner’s Office mentioned that the manual was now ready and would soon be issued. It is sad that the only institutional memory left about this seems to have been hers, with all other personnel involved having been transferred, but we should be thankful that the effort made by Scott and the team with which he worked has not been lost. I hope though that it is used widely and well, with clear guidelines issued to relevant authorities, when it is finally produced.